... for less than $20.00. 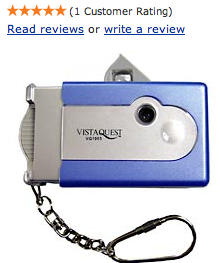 It is quite popular among toy camera buffs. This guy (Camera Hacker) tells you how to take it apart and improve its ability to focus to infinity, which is interesting. 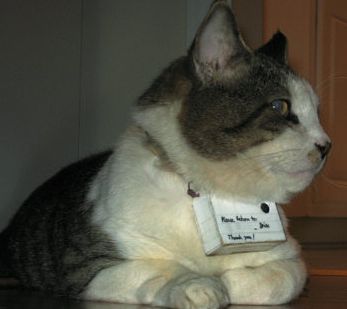 But another guy has set up a web site where he shows us how he rigged this camera to take a series of timed photos and then sent his cat, Mr. Lee, out into the world with the rigged camera attached to his collar. When the cat returned home, the owner had a series of images showing him where his cat had been hanging out (and with whom), something the guy had always wondered about. Another example of why I LOVE THE INTERNET!!! ... is currently playing: Are You Going With Me? from the album Offramp by Pat Metheny Group.